Ann and Josh Carnes met in September 2015 at a fire department pig roast near Josh’s farm in Laporte, Colorado. Ann was growing edible flowers and herbs in nearby Wellington. Josh had just retired from the fire department and had a handyman business and a garden on a three-acre homestead. 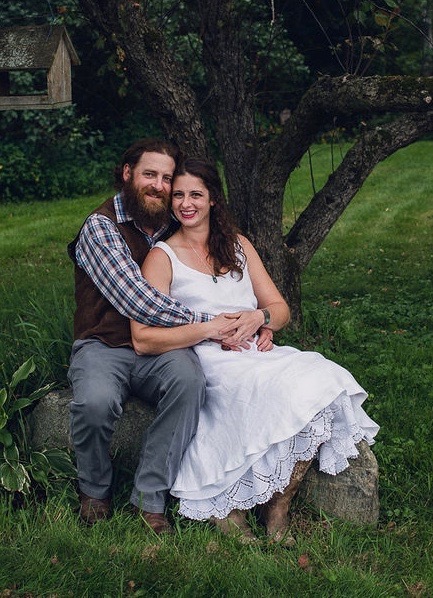 They fell in love and began farming together the next spring. 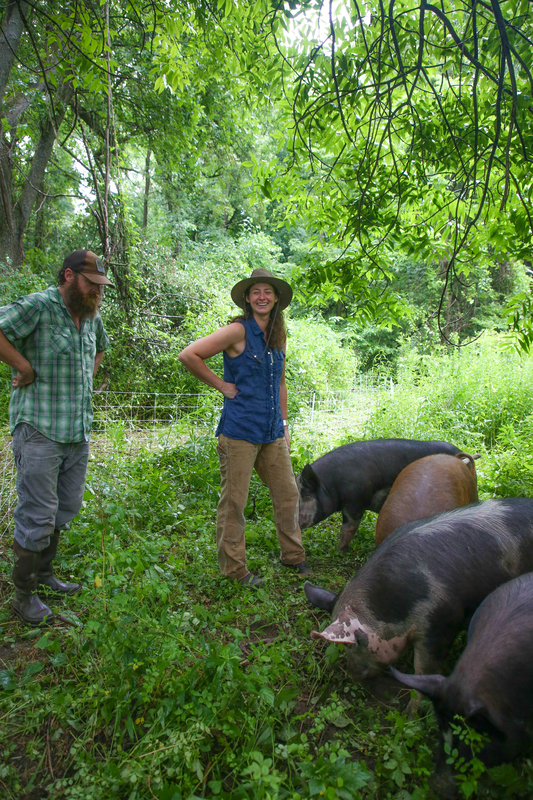 In November 2017, they uprooted their lives and moved to New York to start Ramble Creek Farm. They joined the Saratoga Farmers’ Market in 2018, selling mushrooms, pork and poultry. 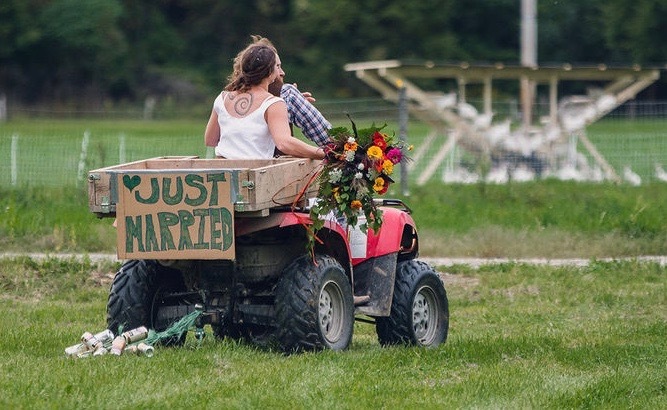 Late last summer, amid preparations for their first autumn on the new farm, they married. Their story highlights an important but not always talked about aspect of farm life – its reliance on interdependence. Nine out of 10 farmers farm as families, often as couples. While hard work and low profitability can strain such relationships, these factors also can make the romances more resilient. Nationwide, farm couples divorce less than others. Shared commitments to making farms grow often also help such relationships grow. For Ann and Josh, that has meant a division of roles alongside frequent consultation. Josh does most of the animal care and the “building and fixing of things.” Ann’s creative talents put her in charge of marketing and branding. She represents Ramble Creek at the Saratoga Farmers’ Market. Josh once a week rises at 2:30 a.m. to drive to New York City for the Union Square Greenmarket. Both love the work and try to not let it take over their lives completely.